2nd hike done with the work team! Our legs are getting used to climb the amazing mountains of Kirishima. 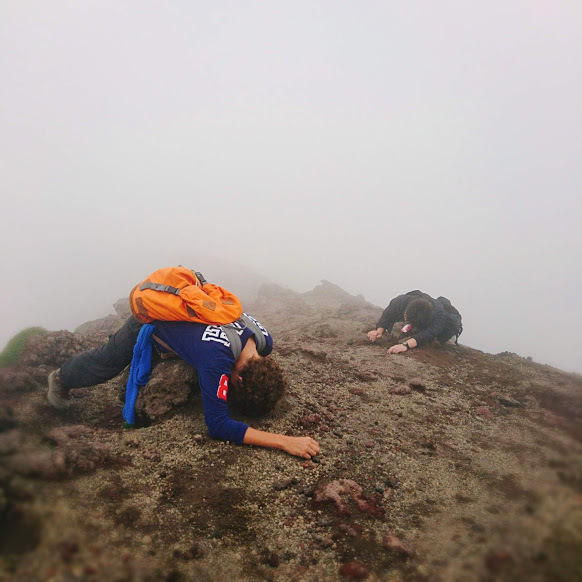 This time, as the title itself suggests, we climbed Takachiho no mine (1574m). 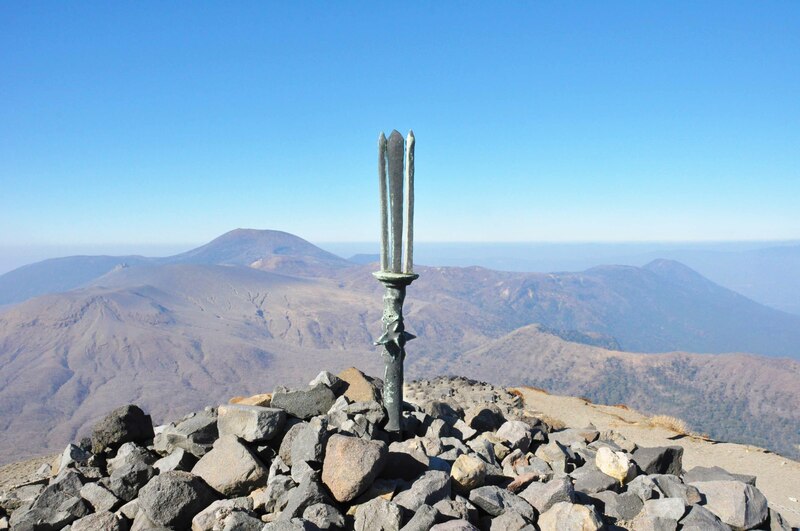 This is the second highest peak of Kirishima, after Karakunidake. We arrived at the start point (near Takachiho Visitors’ Centre) at 9 am and crossed the Torii. The sun was shining, nothing wrong could happen to us. This time we didn’t meet any animals or bone. But we met quite a big piece of mountain! The hiking course to Takachiho no mine is completely different from the one we have done before (Ohata pond) as you walk through the forest for only about 20 minutes and then you get to the part where you wish you had gloves because you actually have to use your hand to keep climbing. 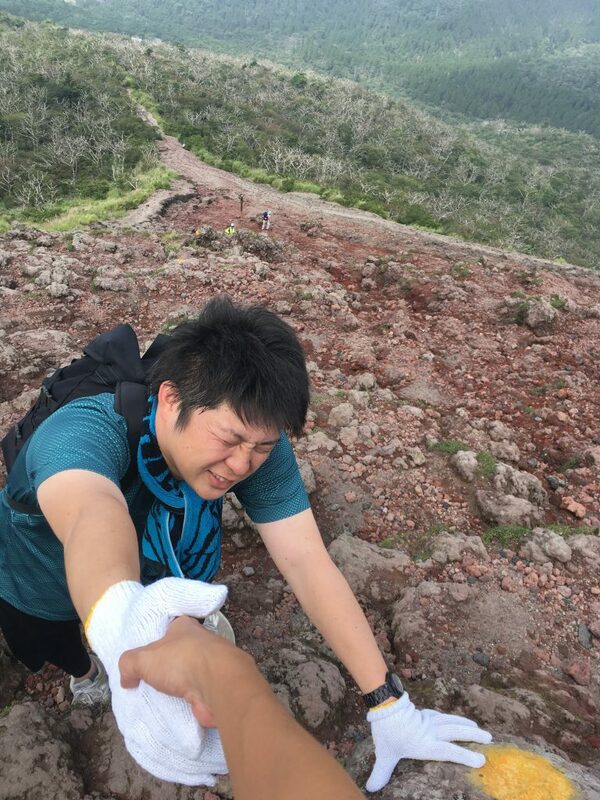 This time we had a real guide (no offense to the previous one) and he gave us many information about Kirishima mountains and his knowledge of all hiking courses makes you climb in complete confidence. However, if you want to climb by yourself, it is completely possible. 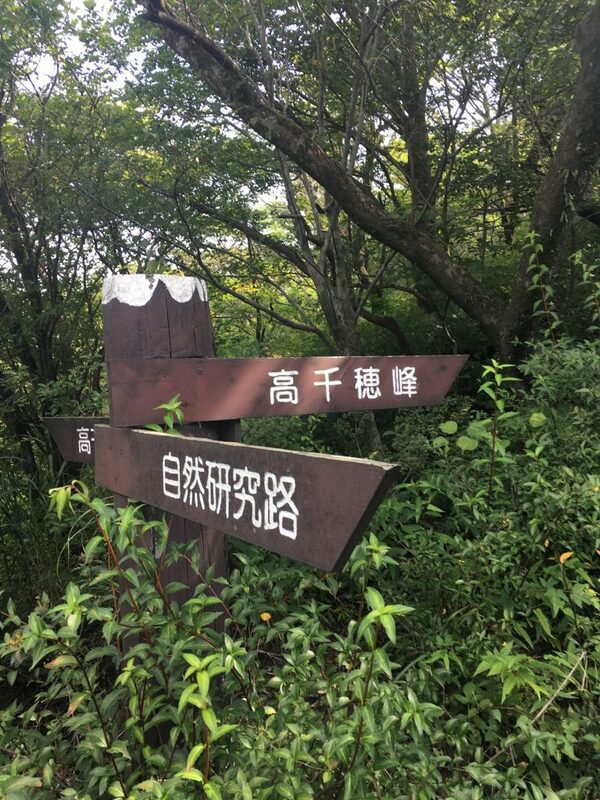 Just in case, you should learn the kanji for Takachiho no mine (高千穂峡) to be able to read all the signs. The landscapes you will discover during your hike will simply blow your mind. 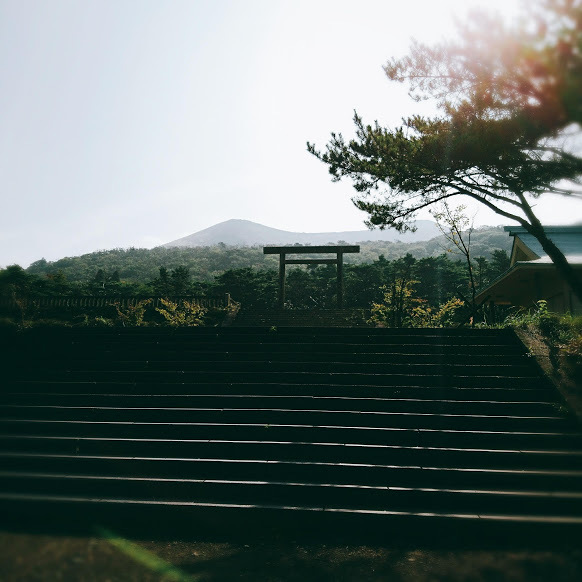 If the weather is nice you will fully appreciate the view and the numerous volcanoes of Kirishima, and if the weather gets cloudy, just like it happened to us, you will be able to enjoy the spooky atmosphere. All joking aside, you should check the weather forecast before climbing as the visibility gets strongly reduced because of the fog. Once you’ll reach the top, you will see a spear pointing to the sky. The legend says the gods used this spear to cut through the clouds and descended to earth for the first time right there, at the summit of Takachiho. This is why people say Japan was actually born in Kirishima and more precisely at Takachiho-no-Mine. Isn’t it an awesome legend and one more reason to come visit? The hike takes 3 to 5 hours back and forth, lunch time at the summit included. The hike isn’t that hard but this is not little stroll at the park either. We strongly advise to come prepared and with the right outfit, especially hiking shoes!